Ladies join the us for an event that will encompass a night of high fashion and chic styling. 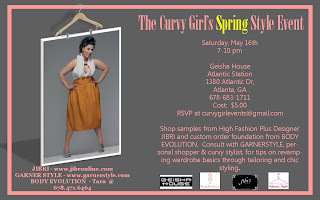 Shop samples from High Fashion Plus Designer JIBRI and custom order foundation from BODY EVOLUTION. 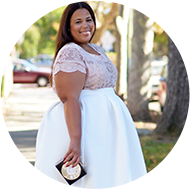 Consult with GARNERSTYLE, personal shopper & curvy stylist, for tips on revamping wardrobe basics through tailoring and chic styling.